Tasmania’s 2018 state election was seriously influenced by donations from the gaming industry. With a lot of the funds side-stepping the established rules, greater transparency is clearly needed. And the information contained in today’s data dump gives clues as to why that might be. The most concerning revelation in today’s release is the extent of political donations from gambling businesses in the lead-up to the March 2018 Tasmanian election. Tasmania relies on Commonwealth rules and processes to make donations public. 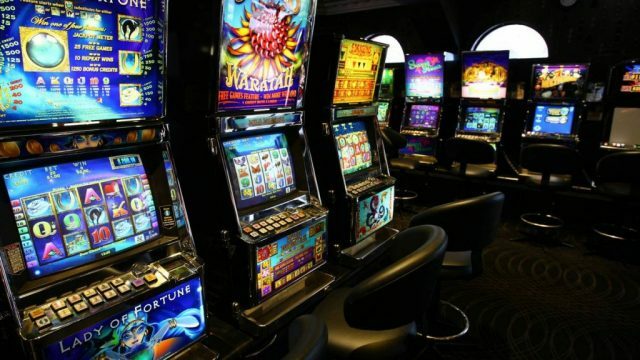 The future of poker machines in pubs and clubs was a key election issue: Tasmanian Labor proposed to get rid of the machines by 2023, whereas the Liberals wanted them to stay for at least 25 years. The hotel lobby ran an intensive advertising campaign during the election. Many commentators suspected pro-gambling lobby groups were also using political donations to support their cause. But it’s taken until today to reveal their donations. The Tasmanian Liberal Party (who won the election) declared more than A$400,000 from pro-gambling groups in the lead-up to the state election – equal to nearly 90% of the party’s declared donations, and a ten-fold increase on the amount gambling groups gave in the previous election. Some A$50,000 came from the well-known Federal Group, a family business that runs casinos and gaming assets across the state. Pro-gambling donors gave nothing to Labor, and Labor’s Tasmanian branch received a total of only A$160,000 in donations for the year. Heavy reliance on a single donor industry creates the risk of undue influence over policy. Tasmanians would be right to question the effect on this inflow of funds from the gambling lobby on their democracy. The Tasmanian example also neatly highlights the lack of transparency in the Commonwealth regime. Tasmanian voters have waited 11 months to see where the money came from. In the age of the internet and instant communications, there’s no good reason for this: donations are revealed in close to “real time” in several Australian states. Tasmanian donations also reveal problems with the disclosure threshold. Parties have to declare donations of A$13,800 or more. But they’re not required to release the details of donations under the threshold – even if a donor makes a series of smaller donations that together exceed the threshold. The Tasmanian Hotels’ Association declaration reveals that, just two days before the election, they gave A$57,000 to the Liberal Party in seven separate donations. Because each donation was under the threshold, these donations are not identified in the Liberal Party declaration. The only way for the public to find out about these funds is to guess who might have donated and go hunting in the donor records. The national returns for the parties show how significant this issue is. Around half of the Coalition’s funding and a third of the ALP’s funding, we know nothing about. A lot of this is likely to be donations below the disclosure threshold. Some of this will doubtless be from “mum and dad” donors who like to give small amounts to their preferred party. But a lot is probably “donation splitting” from groups adopting a similar approach to the Tasmanian Hotels’ Association. Despite its deficiencies, the data does reveal some interesting things about how our political parties are funded. Parties received A$154 million in political donations, public funding and other income in 2017-18, down 25% from 2016-17. It’s normal for funding to drop outside of election years, but the parties will be keenly seeking to boost their coffers in the lead-up to this year’s federal election. Unfortunately, voters won’t be told anything about that money until 2020. The data reaffirms the importance of union money to the ALP, and of hotels and mining money to the Coalition. The ALP’s biggest donors and contributors include the shop assistants’ union (A$1.4 million), the Electrical Trade Union (A$940,000) and the CFMEU (A$530,000). The Coalition’s biggest contributors include the Waratah Group (A$175,000) and the Australian Mining Group (A$170,000). Hotels associations from around the country were also major contributors, giving a combined total of more than A$600,000 to the Coalition. Both major parties received A$250,000 in donations from ANZ, interesting given the Royal Commission but consistent with the bank’s recent practice of making significant donations to both sides. Today’s donations data release will only fuel people’s cynicism about the role of money in politics. If political parties want to start to rebuild the public’s trust, making donations releases more timely and transparent would be a good place to start. Danielle has extensive experience advising on economic policy issues. Her research focus is tax and budget policy, intergenerational inequality and competition policy. Previously, Danielle worked at the ACCC as the Principal Economist and Director of Merger Investigations, as a Senior Consultant at NERA Economic Consulting and as a Senior Research Economist at the Productivity Commission. Danielle has a Masters of Commerce (Hons) and a Masters in Competition Law (Hons) from the University of Melbourne and a Bachelor of Economics (Hons) from the University of Adelaide. She is the National and Victorian Chair of the Women in Economics Network. She sits on the Victorian and Central Council for the Economic Society of Australia.